NOW ENROLLING FOR SPRING BREAK! $45 per child, $39 sibling. ASK FOR MULTIPLE DAYS DISCOUNT! 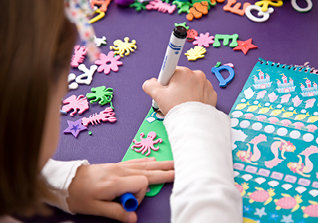 4 – 11 that give children a daily balance of playtime and artistic expression. Our carefully developed curriculum includes theme-based lesson in drawing, painting and sculpting using medium like oil and chalk pastels, watercolors, mixed media and more! $45/child, $39 sibling. ASK FOR MULTIPLE DAY DISCOUNT! Our unique Technology Camp features Robotics with LEGO® Mindstorms® and LEGO® Stop-motion animation. Learn to design, build and program robots! 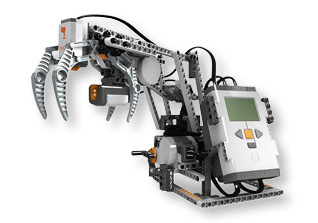 Campers ages 7- 13 work both individually and in small teams (2-3) using the Mindstorms® Robotics Kit* and participate in the various fun challenges. Our Technology Camp is both FUN and EDUCATIONAL! It is a one-of-a-kind experience your child will never forget.